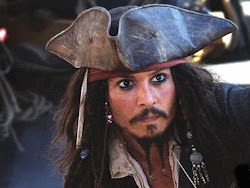 Snippets of Jack: "We're devils and black sheep, we're really bad eggs"
"We're devils and black sheep, we're really bad eggs"
Though I love the Pirates of the Caribbean there are some people who I really don't like. You can probably guess a few people on this list right now but there are also a few here that you might be surprised about. Here are a few of my least favorite people. This guy is one of the first people we ever get to see. He is sailing to the Caribbean from England in order to become the Governor of Port Royal. This is a pretty big deal because Port Royal is the Largest British settlement in the Caribbean. His daughter, Elizabeth, also comes to Port Royal. There she attracts the attention of Captain James Norrington. Weatherby seems to really want Elizabeth and James to get married because the day James proposes and Lizzy doesn't answer immediately he talks to the captain and convinces him she will wants to marry him. Of course as they are talking they are attacked by the Black Pearl, which ends their conversation. Later in the movie Elizabeth accepts the proposal in order to save Will who is at the Isla de Muerta. Once they reach the island Jack convinces them to lock Elizabeth in a cabin so she will stay safe. While there Governor Swann talks to her through the door. He declares a confusing statement that bores even Elizabeth, who climbs out of the Dauntless. At the very end of the movie when Elizabeth and Will proclaim they're love for each other and are having a romantic moment he asks them if that was their decision. No, they just went through all that because they don't want to be together. I mean James, who was in love with her in the first place and had been promised her heart, is okay with it but the Governor is not isn't. Some people, you know! Yes, yes I know he's a pirate lord and everything but I just find him unnecessarily intimidating. I mean let's take a look at when we first go into his bathhouse. He convinces Elizabeth to take of her clothes. (That's Jack's thing!!) Let's see, after that he pulls out Will from a well where he'd been drowning him. Not cool. The only reason he decided to fight the East India Trading company is because Will promised to give him JACK'S SHIP. When Feng gets control of the Pearl what does he do??? He punches Jack in the nose. Umm, hello you're the one who is stealing the ship that Jack died for (literally). Of course the EITC comes in and helps convince Feng to fight for the EITC. The EITC helped because they were going to take "Sao Feng's ship". 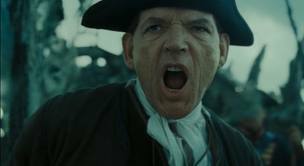 Ian Mercer was Cutler Beckett's right hand man from the very beginning, We first met him in my personal favorite book: The Price of Freedom. He and Cutler tried to trick Jack into finding the hidden city of Zerzura. Of course Jack being Jack caught on to their scheme and kept the island coordinates to himself. This of course made Beckett and Mercer quite angry and they burned Jack new ship the Wicked Wench fortunately for Jack he has a friend in high places or rather low places, Davy Jones. Jones saved Jack's life and his ship, which later became the Black Pearl. Mercer continued to work with Beckett as he climbed the ladder at the EITC. Eventually after being a down right jerk to just about everyone he was killed by Jones in a rather disgusting way, but we really don't need to go into the details of that again. Christophe-Julien de Rapièr Christophe is a low down dirty rotten scoundrel with good fashion taste. In my opinion anyways. Jack and Christophe were great friends and fellow pirates, Christophe was the older richer and wiser half of the duo, but he didn't get the girl! Jack beat Christophe in the competition for the heart of Esmeralda the daughter of a pirate lord, and quite the catch if you ask me! When Jack and Esmerelda discovered the identity of the rouge pirate they never expected Christophe to be named as one of the accomplices, and Christophe did a good job of convincing Jack he was innocent, and Jack being the sweetheart that he is hatched a plan to free his friend. Unfortunately he was a rouge. And a mean one at that. He press ganged Jack into service on his ship. Christophe also followed Jack on his voyage to Zerzura and tried to steal the stone protecting the city. But Jack stopped him of course, and eventually beat him in a duel which cost Christophe his life.